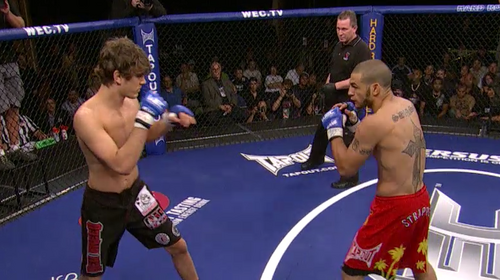 WEC 28: Faber vs. Farrar from June 3, 2007. Rani Yahya vs Mark Hominick WEC 28 Jun 3, 2007 (6:12) In a highly-skilled “striker vs. grappler” dueling debut, UFC veteran & kickboxing ace Mark “The Machine” Hominick with his 13-6 pro record battled dangerous BJJ blackbelt Rani Yahya with his 11-2 pro record with 10 of his wins via submission. 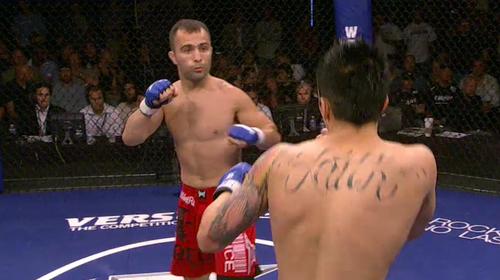 Alex Karalexis vs. Josh Smith WEC 28 Jun 3, 2007 (20:27) With back-to-back wins in the WEC, The Ultimate Fighter 1 alum Alex Karalexis was on a bit of a roll in the company’s cage and was set to square off with debuting Josh Smith with his 6-2 pro record with all of his wins via stoppage. 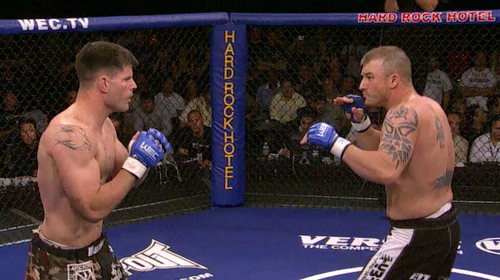 Brian Stann vs. Craig Zellner WEC 28 Jun 3, 2007 (9:12) With less than a minute’s time in the WEC cage across two bouts, former US Marine Captain Brian Stann owned two TKO wins and was climbing into the cage with his power-punching against Fit NHB’s Craig “Big Z” Zellner with his 4-1 pro record. Brock Larson vs. Kevin Knabjian WEC 28 Jun 3, 2007 (5:57) Securing a first round kimura finish in his WEC debut, submission grappler Brock Larson extended his great win streak to eight and was headed back into the cage to tangle with debuting former NCAA D1 wrestler Kevin Knabjian who was on a five fight win streak. 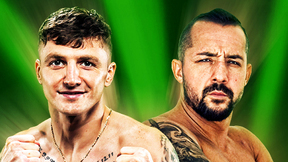 John Alessio vs. Alex Serdyukov WEC 28 Jun 3, 2007 (7:11) Coming off a bid for the WEC featherweight title, John “The Natural” Alessio with his 19-10 pro record was aiming to get back on the winning track against “The Russian Crusher” Alex Serdyukov who had improved his pro record to 5-3 with a sub stoppage. Cub Swanson vs. Micah Miller WEC 28 Jun 3, 2007 (22:42) Palm Springs’ Cub Swanson was flying high, riding a 10 fight win streak that include a guillotine choke in his WEC debut. 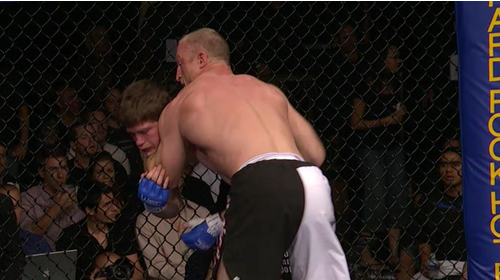 Up next, Swanson scrapped with undefeated Micah Miller, who also secured a submission win in his WEC debut. Brian Bowles vs. Charlie Valencia WEC 28 Jun 3, 2007 (15:09) Scoring a one-punch knockout in his WEC debut, Charlie Valencia looked at home in his new cage at his new weight and was set for a clash with debuting Brian Bowles who owned a 3-0 pro record with all of his wins via finish. Jeff Bedard vs. Mike French WEC 28 Jun 3, 2007 (22:07) Returning to the WEC cage for the first time in five years, Jeff “Little Popeye” Bedard was tearing up competition with his perfect 8-0 pro record and was set to scrap with Mike French who was aiming for his first WEC win in his second attempt.